If you are seeking intensely powerful sub-bass that compromises nothing in terms of sound quality, the 12W6v3 is your ultimate ally. 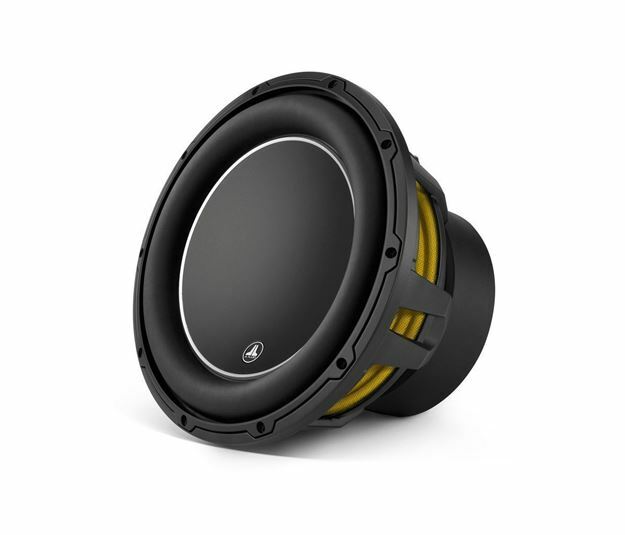 This highly advanced subwoofer driver offers several technologies shared with the flagship W7AE subwoofers to provide powerful advantages in motor linearity and suspension behavior. These combine with a very efficient cooling circuit to deliver reduced distortion and outstanding dynamic balance. The 12W6v3 is best used with amplifier power in the 200W - 600W range and is optimized to operate in a sealed enclosure with only 1.0 cu. ft. (28.3 l) of air space, or a 1.3 cu. ft (36.8 l) ported enclosure. Detailed enclosure recommendations can be found in the "Specifications" tab. Greater excursion capability and higher power handling distinguish it from our 12W3v3 12-inch subwoofer driver, allowing for higher output. Dual 4 Ω voice coils permit deploying the W6v3 as a 2 Ω or 8 Ω driver.